Yes, yes, "something" passed (just like we were assured "something called health care" would be passed less the Vapid One lose face) at the RNC winter meeting today vaguely called a litmus test or a purity test. 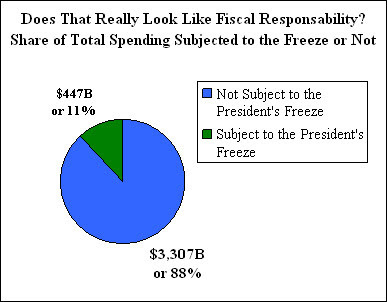 But, truly, this is nonsense as well as non-binding (remind you of Obama's claim to a win in Copenhagen?). The resolution that passed is nothing like what was passed at the MN State Central meeting in December. The Evie Axdahl/Brian Sullivan (will he ever deign to attend a state central gathering?) attack on Chair Michael Steele has failed and failed abjectly. Click on the title of this post to read ABC News' take on the matter. MC has been less than shy about the wisdom of any litmus test both on its merits as well as a behind-the-scenes bludgeon by bitter dead enders on the RNC. We are glad to be vindicated by the results this week in Hawaii and expect to hear from our friend and steadfast reader J. Ewing. Give Us A Minute, We're Thinking. . .Thinking. . . . Sorry. MC just can't come up with a good answer. Readers? Now's your time to comment! 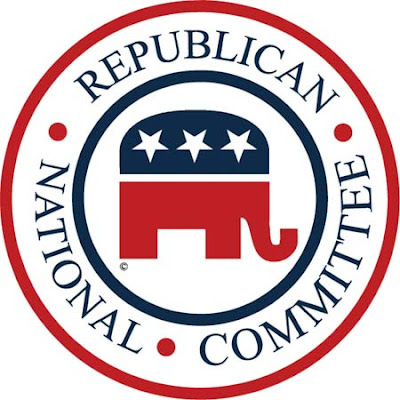 Tone-deaf, dead-enders who want to undermine Chairman Steele may introduce a resolution at this week's winter meeting of the RNC in Hawaii designed to create rigid markers to determine who is and who is not a Republican. Minnesota's delegation to the RNC are holdovers from another time and will be turned out--with thanks for their service--in 2011. They also support this sort of party suicide. There is no need for such a resolution and the motion at the RPM state central meeting in December by Evie Axdahl supporting such was misguided if not dishonest. It passed because the delegates weren't aware of the back story and rightly were disgusted by Dede Scozzafava in New York's 23rd race. There was no time for opponents who were in the know to explain the maneuver in detail. 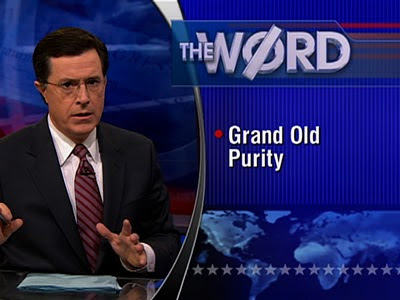 A purity or litmus test is not only foolish but positively damaging. Kay Bailey Hutchinson is pro-choice. Any wingnut care to call for her ouster? The Wall Street Journal rightly says: "Litmus tests are for minority parties." We can't improve on this nor anything else they wrote on the issue. Click on the title of this post to read it. Obama's Latest Gimmick: A "Freeze"
MC isn't fooled by this cynical maneuver from Team Obama and doesn't believe that voters will be either. 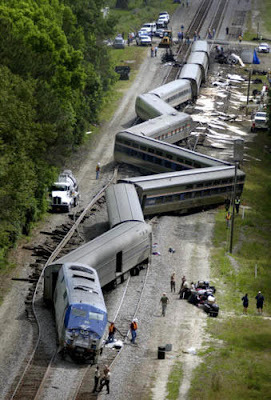 Look for Obama to preen about it, however, in tomorrow's SOTU speech. Russia: What Can You Do But Leave It? The above-video illustrates a truth known for some time about Russia: it is literally a nation dying. The narrator is somewhat naive in tracing this human implosion to "capitalism" and the collapse of the USSR in 1991. The pathologies long predate the fall of the Evil Empire. Regardless, MC wanted to post it to bring this calamity to the attention of our readers. Unlike other disasters, there seems to be precious little that outsiders of good will can do to remedy the situation. Alas. "A very out-of-rhythm speech was followed by some of the most obscure and unhelpful questions ever uttered at a town-hall meeting. I was left with a bit of sympathy for President Obama, as questioner after questioner asked about their own specific concerns, often way out of the president's duties, responsibilities, and realm of expertise: One guy was an inventor who wanted to give him a sales pitch, one woman lamented the impatience of the American people before complaining about a slow response from the state environmental agency over her toddler's lead poisoning, one guy wanted to read the president a poem; there was a woman who talked about the problem of finding students for her truck-driving school, an old lady who was upset that her Social Security didn't have a cost-of-living increase, and a guy who had the patent for some wind-turbine issue that he was in a fight with some company about. One poor soul raised his hand and just wanted to shake Obama's hand." Hecka of a townhall, Axelrod. 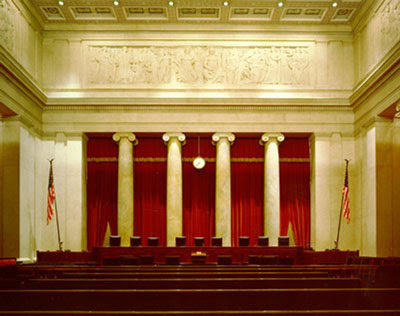 The quote above, taken from the majority opinion in today's Citizens United decision, is both obvious and refreshing. Shockingly, four of our nine Supreme Court justices could not bring themselves to agree with it. They and their ideological allies in government know better than you, you see. The blood boils. But let it boil another day. Today MC is celebrating Scott Brown's victory in the MA senate race and today's Supreme Court decision. Click on the title of this post to read the Washington Post's aggregation of reactions from across the political spectrum. Alas, John McCain regrets the court's decision. For shame. The St. Paul half of MC is off tomorrow to Boston as a volunteer attorney for the Scott Brown campaign. All signs are very encouraging but we can take nothing for granted. Keep your fingers crossed for a win that changes, well, almost everything. AND follow us on Twitter: Follow Barbara Malzacher on Twitter as Fretbunny and John Gilmore as Shabbosgoy. And don't forget our friend Sue Jeffers who is now on Twitter as TheSueJeffers. If you are not on Twitter, get there. Click on the title of this post to read Charlie Cook's article by the same name. He's an astute political observer but MC thinks this time he hasn't gotten it quite right. 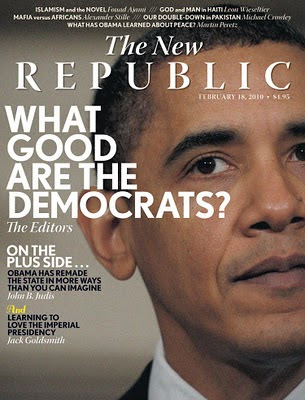 Obama knew full well what he was doing and the political damage to his party was built in from the beginning. He is not the usual politician Cook is used to covering: he's a hide bound ideologue of the likes we have never seen in the Oval Office before. 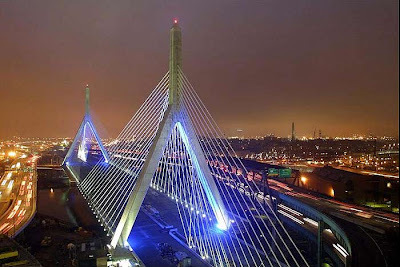 The hapless Martha Coakley is a cause for optimism, however, and MC thinks Obama parachuting into Massachusetts surely won't be enough to stop Scott Brown from being its next Senator. 2010 is starting out very well indeed. Shawn Steel, no relation to Michael Steele, has penned an accurate and deadly account of the sniping and backstabbing currently engaged in by a few dead enders on the Republican National Committee against the Chair. Evie Axdahl and Brian Sullivan, above, are two such dead enders. Precious little communication from these two to State Central delegates or others has been forthcoming until lately. Axdahl engineered a dishonest resolution at the State Central meeting in December with which to bludgeon Michael Steele at the mid-winter meeting of the RNC later this month. Sullivan couldn't be bothered to attend that meeting or the previous one in June. The email communicatons, however, are too little and too late. Do they seriously think we are that stupid? "Steele’s critics fall roughly into three categories. The first group is the RNC dissident losers. Last year’s RNC battle for chairman was tough but historic. The dinosaur RNC ghosts, who once dominated key RNC committees, controlled the agenda and enjoyed exclusive invititations to private parties in the Bush White House, were isolated. There are about a half-dozen left; some have served on the RNC for more than 20 years. Today, they have little, if any, influence." After we retire as many Democrats as possible in 2010, let's turn our attention to replacing the RNC representatives from Minnesota. Turning them out is long overdue! 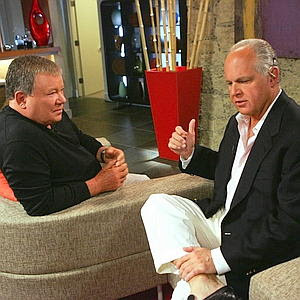 Please join Minnesota Conservatives in wishing Rush Limbaugh many happy returns of the day. We hope he continues behind the golden EIB microphone for many years to come. Condolences to the tolerant and diverse liberals who earnestly hoped for his death when he was hospitalized recently in Hawaii. Stay classy, you frauds. And we like Brown as well. Here's hoping! 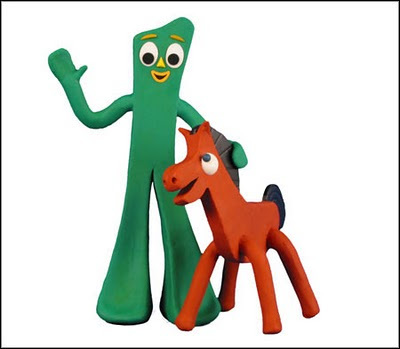 The creator of Gumby and Pokey died in his sleep today. Reqiescat in pace. Click on the title of this post to read the ABC newws obituary. This is the best thing MC has seen about the abject performance of the community organizer in chief during the Christmas bomber episode. Is it 2012 yet? Obama's ratings are the second lowest recorded at the start of the second year. What is interesting is that Bill Clinton was at 54% in 1994 and we all know how that Fall's election turned out. Click on the title of this post to read the Gallup story about this poll. 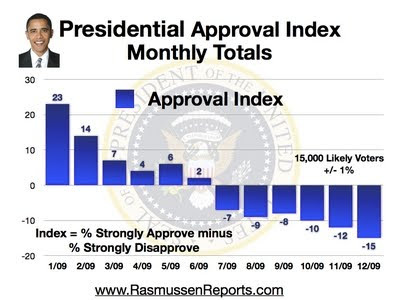 Democrats are having a snit because of the results from Rasmussen Reports showing Obama's low favorable ratings. Click on the title of this post to read the story in Politico. MC? We're thinking that maybe Rasmussen under states the disgust with Obama. 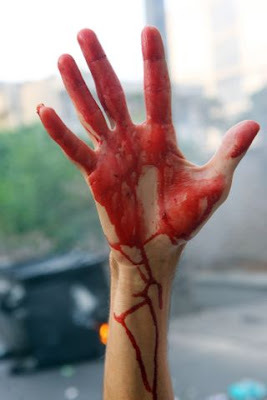 The bloody hand above comes, naturally, from the streets of Tehran. 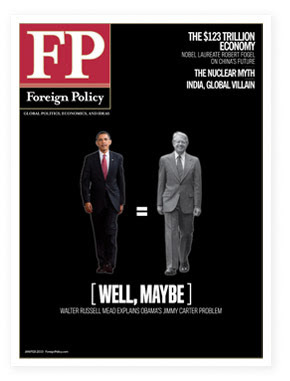 Please click on the title of this post to read Fouad Ajami's comprehensive critique of Obama's foreign policy. It is must reading. 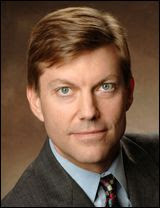 "History and its furies have their logic, and they have not bent to Mr. Obama's will. He had declared a unilateral end to the "war on terror," but the jihadists and their mentors are yet to call their war to a halt. From Yemen to Fort Hood and Detroit, the terror continues."